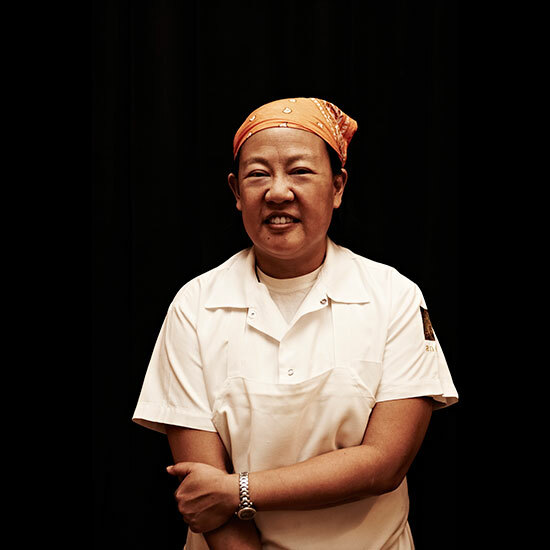 The scholarly, soft-spoken chef is that last person you'd expect to use something called a "diva spoon" but she uses one for plating in her newly three-starred restaurant Annisa. Your plate must be visually appealing, but even more so it needs to be natural and easy for the customer to eat the way that you want it to be eaten. Balance is everything and how much to sauce the main ingredient, that proportion is really key to pleasure. If you want something to be eaten with the sauce and the sauce is too far away and up in the corner, then that’s a problem. 2. Don’t put color on the plate for the sake of it. Every ingredient on the plate needs to have a strong role. It can be a supporting role or it can be the main role, but it has to have more purpose than just adding color to the plate. Flavor is everything. 3. Everything has to make sense. Smearing sauce all over a plate has its purpose, too, if you have a really strong sauce and you just want to paint it on gently.